Home > Rings > Fork Elephant Ring. Alabama Elephant Ring. Handmade Elephant Ring. 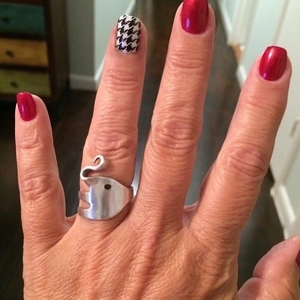 Unique Elephant Ring. Valentine's Day Gift.